began with this collection of dusty, broken lawn ornaments along with a tractor seat that was a gift from my Matriarch Aunt. So far, I've completed four projects with these items. You get to see two of them today! Getting the chicken wire wrapped around the rooster and goose took some patience. 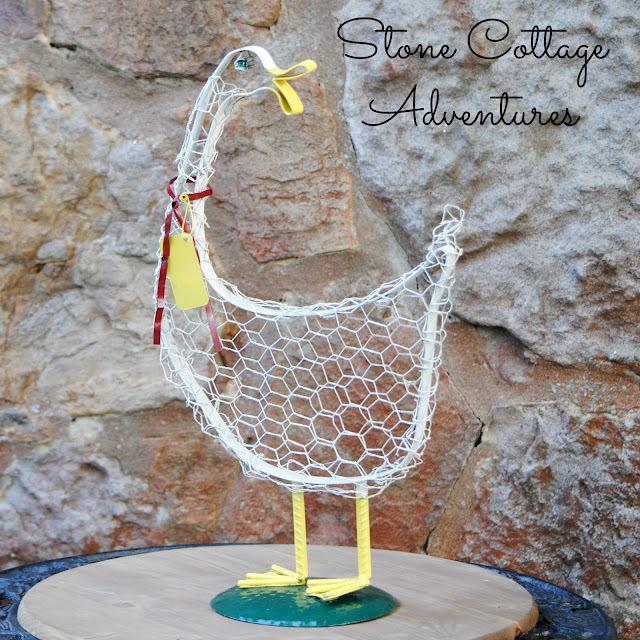 The farm fowl friends are made of just a shaped metal band with legs welded to the bottom. 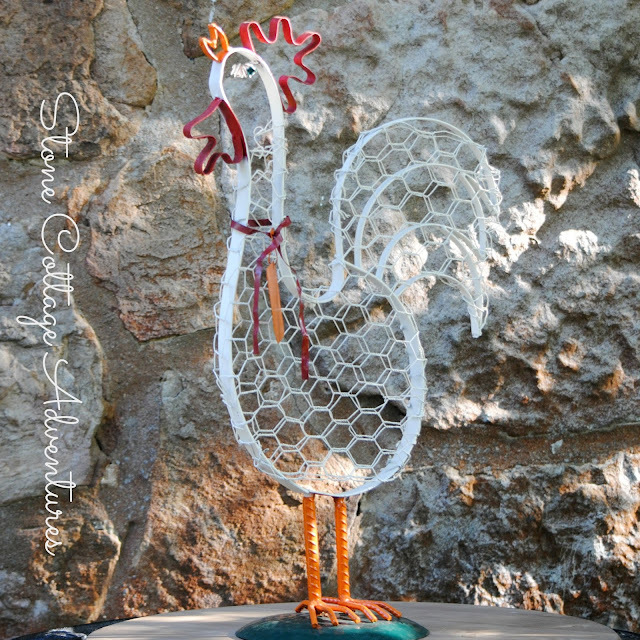 Each were laid on top of the chicken wire which was then folded over the bird. I used my wire cutters to roughly cut the chicken wire about an inch bigger than the metal form. 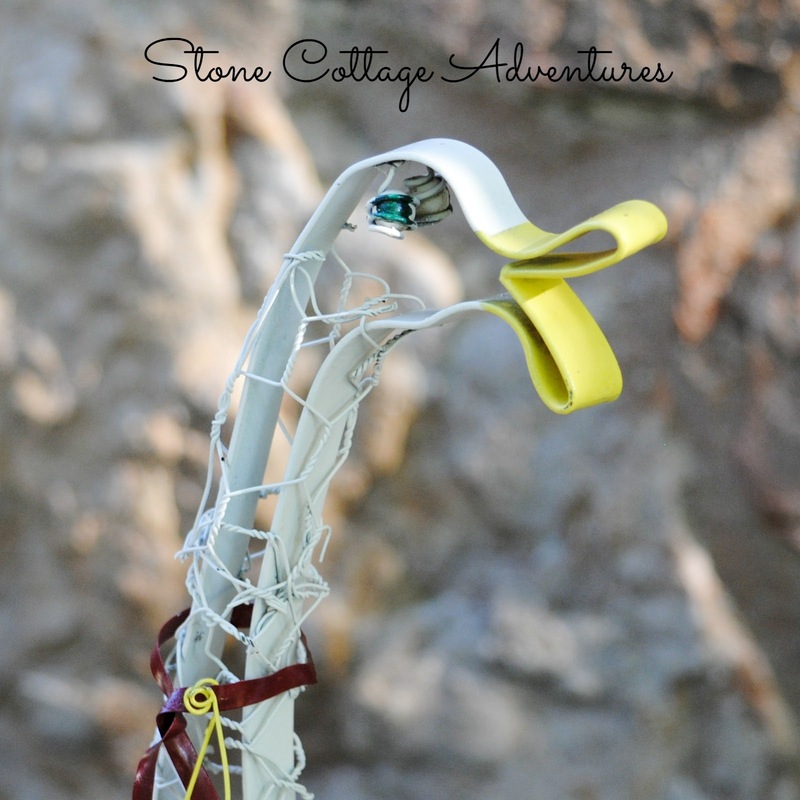 From there, the pliers were a big help twisting the chicken wire into itself and around the edges of the metal band. It holds its shape very nicely, once it is attached. Their beaks and legs were painted first and then protected with painters tape. 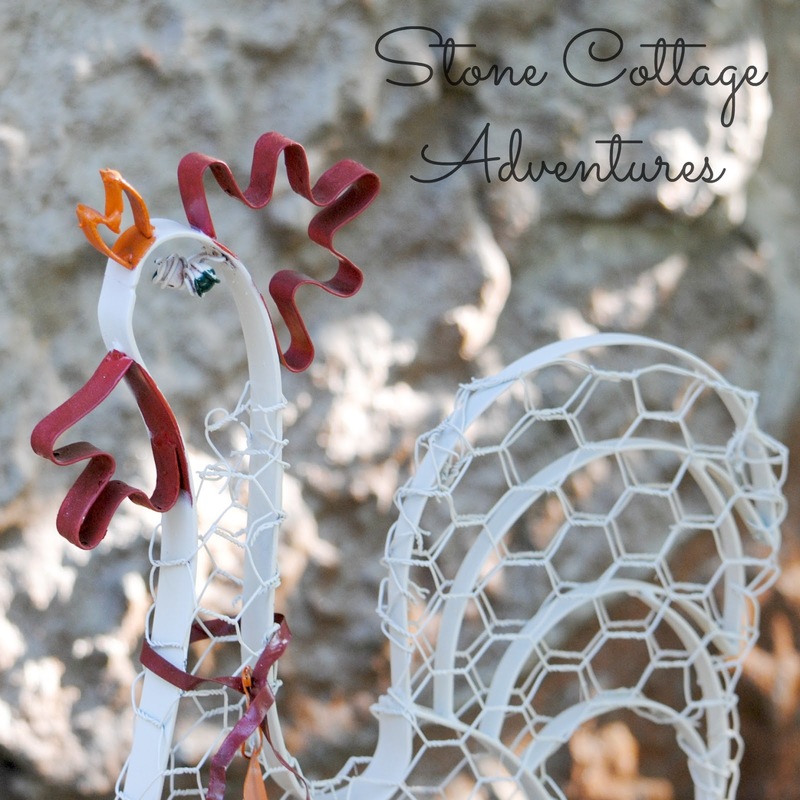 The rooster's comb was the same, just spray paint and tape. It took about three passes with the white to get the wire and band covered nicely. I actually used a brush and small bucket of Hunter Green paint left over from This Project for the base and each eye. Now, where should they land in our garden? 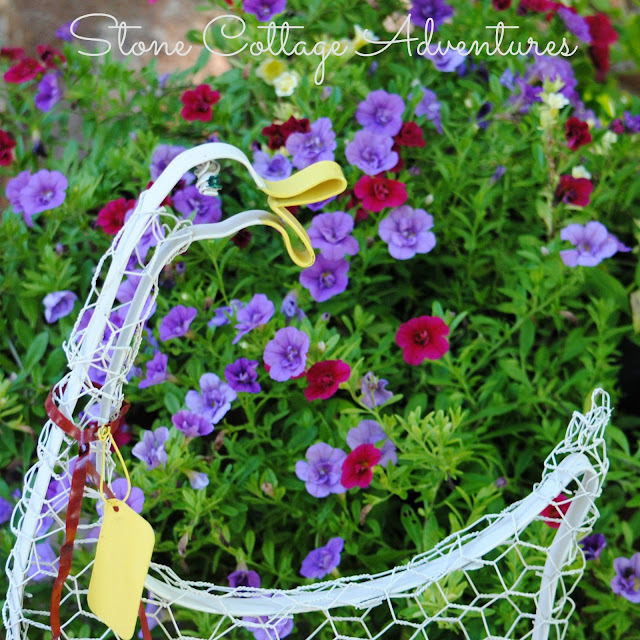 Near the colorful calibrachoa? Or maybe in front of the elephant ears? 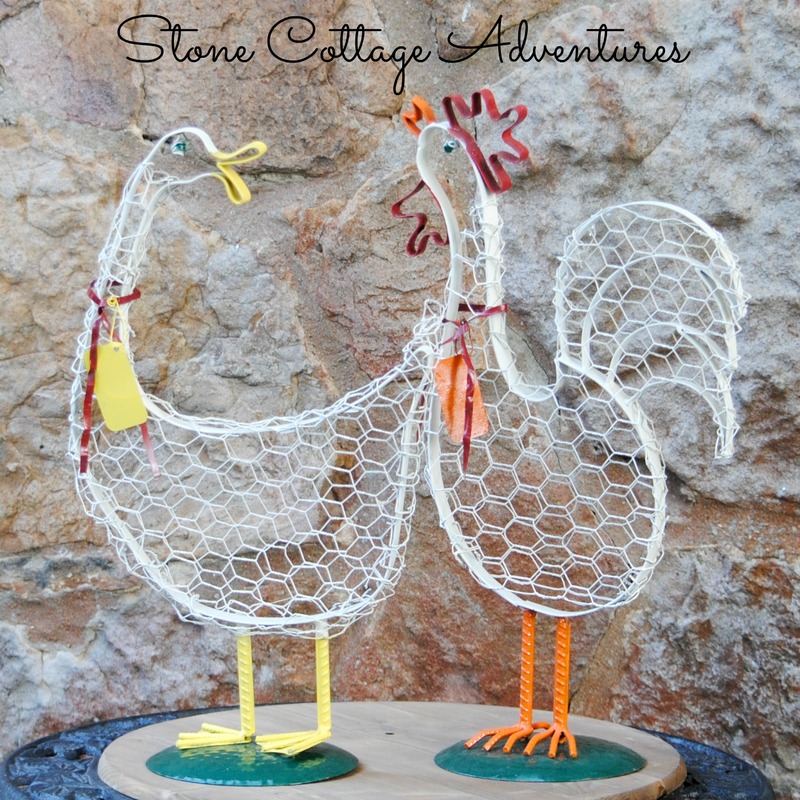 Every farmhouse garden needs a whimsical rooster and goose, right? ;-) I'm considering naming my new friends, but can't decide. Those little tags would be a fun spot to write their names, don't you think? 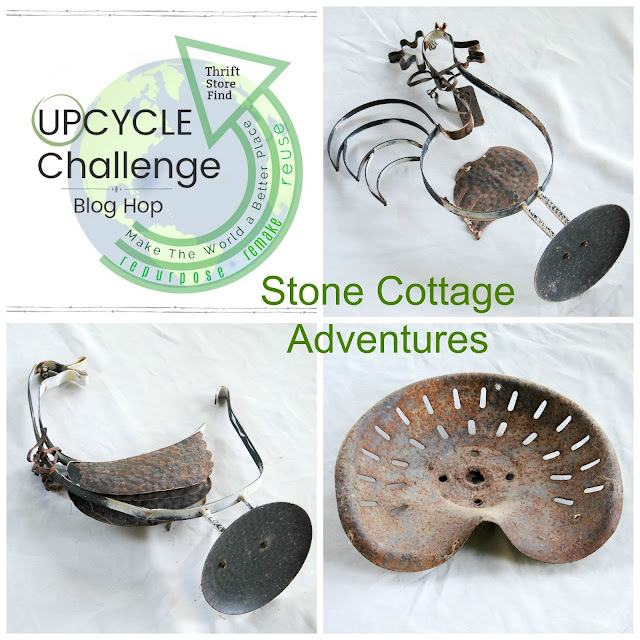 'Definitely a couple of up cycles worth crowing about! I love the upcycle. You're so creative. How fun, Marci! 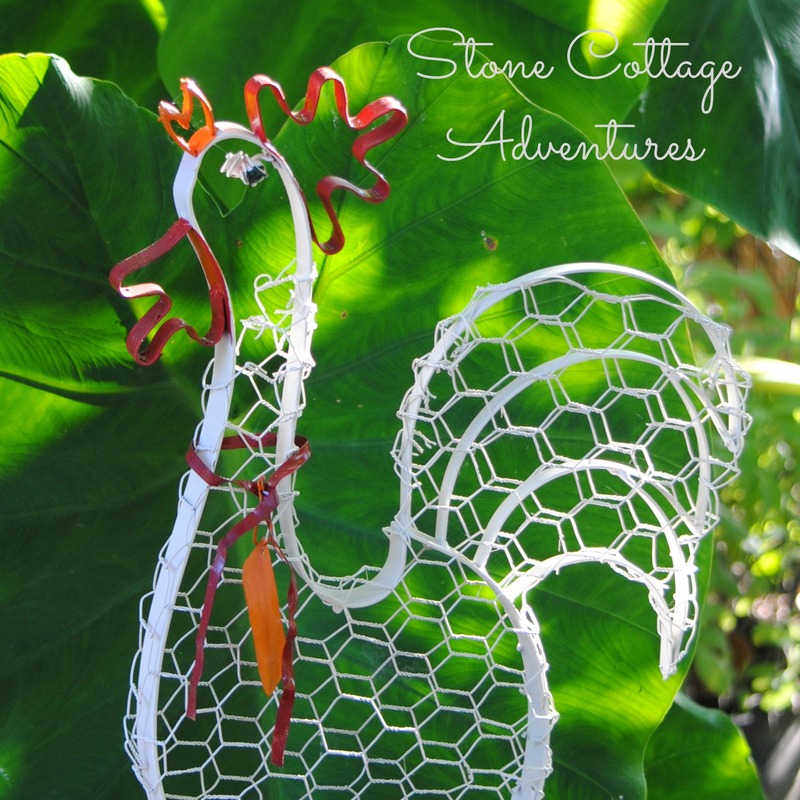 This is such a great piece for garden decor. Love your upcycled goose and chicken. So colorful. Yard art is fun! They both look great in your garden.